Summer may be over in Provence but Christmas is also a special time to celebrate in a special place like Provence. Experience the charm and atmosphere of attending midnight mass on Christmas Eve or even a live nativity scene in a village church. The festivities all begin on the 4th December - St Barbes Day when people traditionally plant wheat germ on a saucer covered with damp cotton wool and if everything goes according to plan the saucer should produce straight green shoots by Christmas Eve. 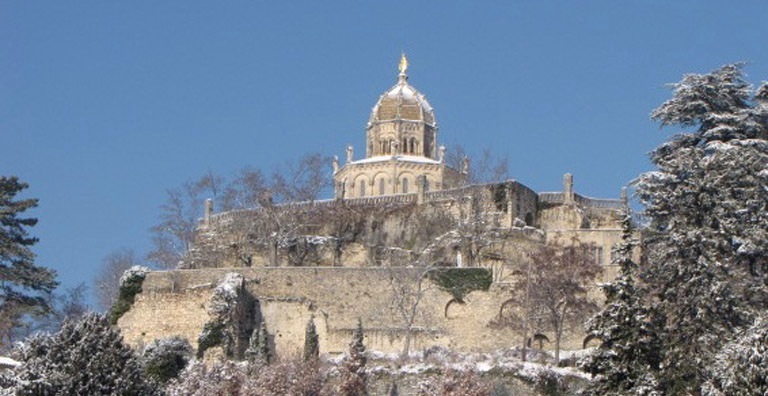 One of the most popular sights in the time leading up to Christmas are the Crèche and Santon displays in the various villages and towns throughout Provence. The Santons represent the village life in Provence and are sculptured from wood, clay or pastry. They represent the various professions including the baker, the fish monger and the local shepherd. The Crèche’s are normally decorated with pine cones, bark and moss. For children one of the most important traditions of Christmas in Provence is decorating the Sapin de Noel (Christmas tree). Legend says that if it is not done properly then Father Christmas will not pass their way! Each town or village has its own Christmas market selling handy crafts or basically anything you might need to celebrate a traditional Christmas. As they are normally outside markets you can keep warm by sipping warmed mulled wine! Christmas Eve in Provence seems to be more important than Christmas Day itself. Before attending Midnight Mass families enjoy “Le Gros Souper” - the traditional Christmas Eve dinner. It is important that the table is laid with 3 white cloths and 3 white candles. Normally it is meat free. Salted cod is one of the traditional fish dishes served on this evening. The famous 13 desserts are then prepared. They include dried raisons, nuts and figs, almonds, apples, pears, dates, plums, quince jelly, nougat, fruit sweets and fondants. There is also the traditional “Pompe à l’huile” - brioche made from olive oil but flavoured with lemon rind or orange blossom. Most importantly the 13 desserts are not eaten now but only after returning from Midnight Mass. The Midnight Mass is a wonderful spectacle and you certainly don’t have to be religious to enjoy it. There are lots of Provencal and Christmas carols. In some villages there may even be a live crib represented by the inhabitants of the village dressed as the Holy Family, the 3 Wise Men and the Sheppard’s. On Christmas Day turkey and goose with ham and chestnuts are normally the favoured dishes. In our household Christmas pudding is still on the menu for dessert but in a normal French household it might be chicory tart and some goats’ cheese. It goes without saying that plenty of champagne and good French wine will also be consumed during these festivities! So why not celebrate Christmas differently this year? 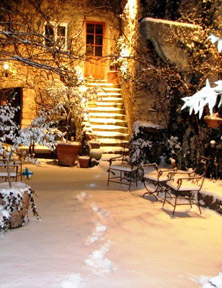 Our apartments in Forcalquier are a great base from which to explore the various Christmas celebrations in Provence. 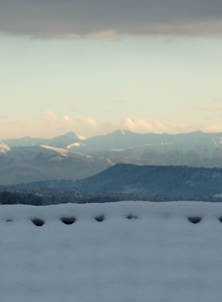 Normally our winter days at Christmas are crisp and clear with plenty of sunshine and if we don’t have a white Christmas in the village the snow capped Lure Mountains are only 30 minutes away and the Southern French Alps are always clearly visible. 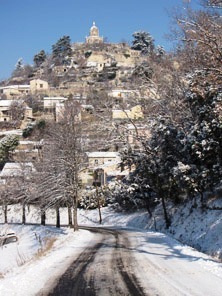 For those not wanting to drive you don’t need to leave Forcalquier. The local Crèche is famous as is the midnight Mass so that can be all done on foot. The Christmas decorations in the village also add to the cosy atmosphere of Christmas in Forcalquier. Our apartments can accommodate up to 12 people so why not bring the whole family or get a group of close friends together. We hope that you can join us in Forcalquier this year to celebrate a Christmas you will always remember.